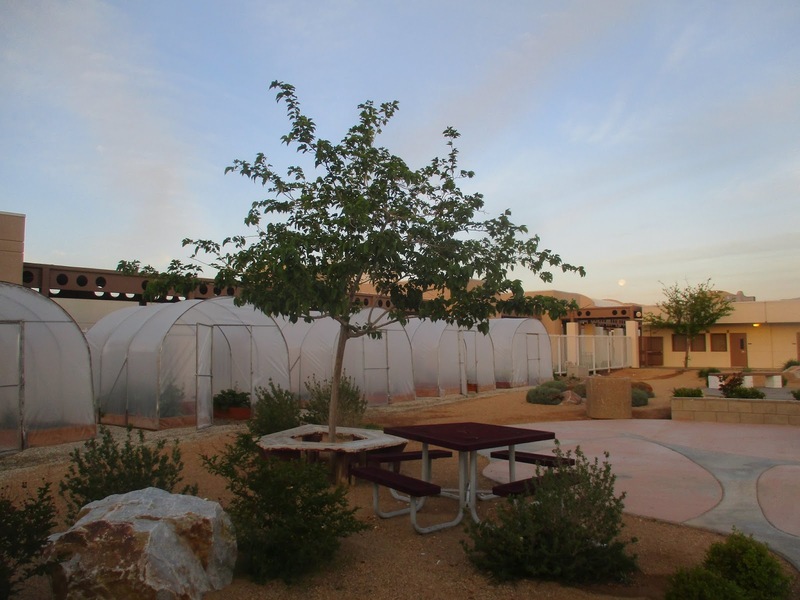 Our greenhouses at Granite Hills High School--full of wonderful things. 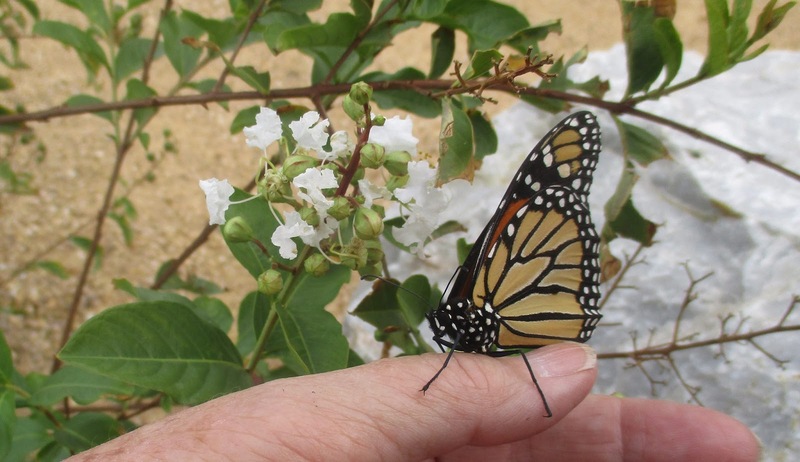 We even had a Monarch visit us! A STEM garden has always been a treasured desire of mine. And I came out of teacher retirement last school year for an assignment for my favorite group of students (the Moderately/Severely Handicapped), at my favorite high school (Granite Hills High, Apple Valley, CAL. My daughter graduated there in '02), AND greenhouses to tend! Perfect! We used the first semester to have Good Health Tuesdays, which involved class cooking and discussion of how to eat well. 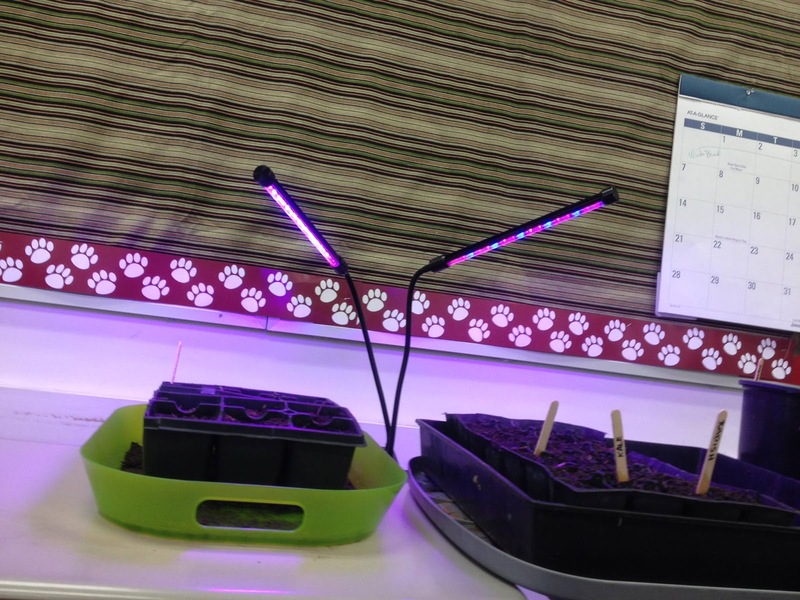 The second semester we brought in grow lights and started the plants for the greenhouses. I confess I brought some squash, bean, and corn plantlings home to my Teaching Garden. 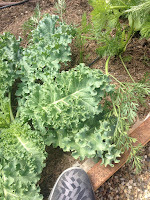 I'm growing 'The Three Sisters' --a Native American practice placing corn, beans, and squash together. 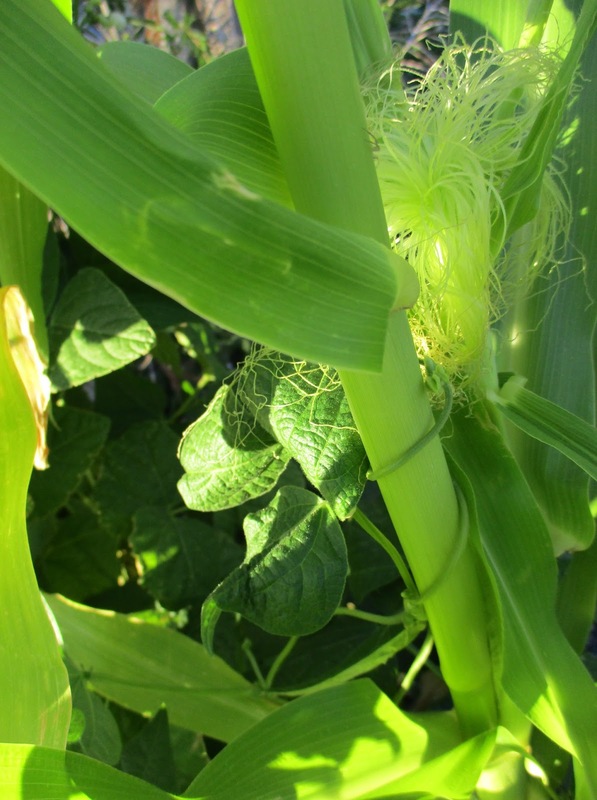 The beans use the corn as a trellis. 'How Does Our Garden Grow?' Quite well! 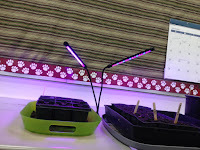 We ran a few science projects with gardening, too. Our greenhouses provide fresh onions, garlic, spinach, kale, tomatoes, squash, pumpkins, radishes, cantaloupe, watermelon, and carrots for the culinary class at our school. BTW, they cater town organizations, faculty meetings and offer weekly specials to the school. I especially like their crescent sandwiches. Our veggie goodies also fed the tortoise that lived in the next classroom. The radish was a favorite--she ate it like a corn on the cob! We all worked every day for the garden. The results were vegetables, of course, but also camaraderie.